These best games are addicting, fun and safe. There is so much fun to be had! Your phone is always with you. Make it fun with the best iphone games! In this game you will switch and match pieces of candy in a super fun way. Try and get the highest sore! This game was designed and created by King.com Limited. The company started delivering witty and fun games to millions around the world in 2003. In 2013, they saw an average of 92 million daily active users playing one of their games. 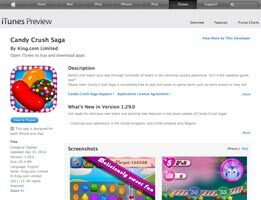 Candy Crush is the amazing new fun and addicting game from this great group of developers. 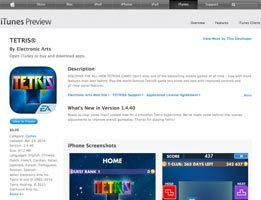 Tetris is one of the best selling mobile games of all time and now with more features than previous versions. Blocks drop down from the sky and you can rotate them before they land on the ground. There are only 6 different shapes that come dropping your way, and your goal is to build full rows of blocks without any gaps. If you do that, the row of blocks disappears and you live on to play some more! The game is so addicting and fun, nobody can get enough. 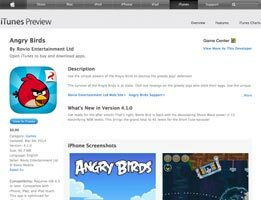 Angry Birds is probably the most recognizable iphone game of all time. It was created by Rovio Entertainment Ltd. Rovio Entertainment was founded in 2003 and has been at the forefront of mobile gaming ever since. They have created many variations of the original Angry Birds and have seen many successes with it. They employ over 700 professionals in their different offices around the world. Rovio Entertainment has shown the world that they are one of the best game developers around due to the amazing success of Angry Birds. Amazing Breaker is a game was designed and created by Dekovir Entertainment They first started with PC games but quickly realized that they needed to start looking at the mobile industry as a means for games as well. Since then, they came up with Amazing Breaker it has been a hit ever since. It is one of the most fund and additcting games you have ever played. Flick the Paper into the Basket! 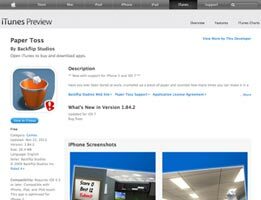 Paper Toss is a fun and addictive game that is so easy to play. Have you ever sat there at work and wanted to toss a crumpled up piece of paper into a trash can? What about if there was a desk fan blowing and you had to compensate for that wind? Well that hilarious experience is what paper toss is all about. Flick your finger and toss the paper and see if you can get the basket. It is fun!! Games are without a doubt the most popular category for smartphone apps. According to market research, iPhone users are the ones who love their games. They spend more hours playing every month compared to other smartphone users. Research also shows iPhone users are willing to pay more for game apps than other apps. Statistics show 93% of iPhone users were willing to pay for a game, while only 76% of consumers were willing to pay for a news app. What About Other Types of Apps? 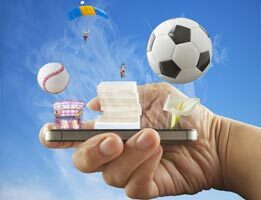 The close second behind games is entertainment, with 87% of customers willing to pay for an entertainment app. 84% of customers are willing to pay for productivity apps. Maps, search, and navigation apps are tied with 84% of consumers willing to pay for those as well. 77% of customers are willing to pay for food apps – so news apps come in last. Though customers are willing to pay, there’s no definitive answer about how much they are willing to pay. In terms of popularity, games come in at the top with 64%. Weather comes in second at 60%. At 56%, Social Networking apps, such as Facebook, Twitter, Pinterest, and Instagram come in third. In fourth place, Maps, Navigation, and Search come in at 51%. In fifth place, Music apps come in at 44%. The bottom five app types are: Food/Drink with 18%, Travel with 18%, Health with 13%, Education and Learning with 11%, and Household and Personal care with 6%. Windows 7 phone users, iPhone, and Android users play games they download onto their device. Only 14% of iPhone users games played are preloaded on the device, compared to 19% of Android, and 63% of Blackberry users. Those who use Blackberry or other platforms typically play only the games that come pre-loaded onto their device. This indicates Blackberry attracts a different type of user – one that doesn’t want to take the time to explore the types of games available on the market. Because Blackberry seems to be the most attractive phone in the corporate business world – it makes sense these owners would not be interested in gaming as much as other smartphone owners. How Much Time is Spent Playing Game Apps? 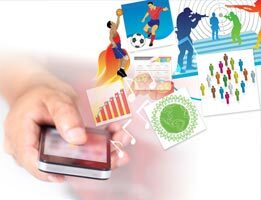 Market research also indicates the average mobile user spends 7.8 hours a month playing games. iPhone users however, spend nearly double that, with 14.7 hours of monthly game play. Blackberry users spend only 4.5 hours per month of gameplay – most likely due to the fact that business people are the primary users of this type of smartphone. While many games are available for multiple platforms, iPhone users are definitely the ones who take mobile gaming most seriously. 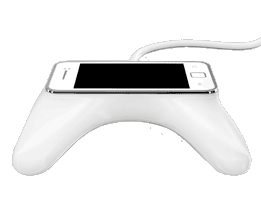 As a game developer, focus on an iPhone audience, and then expand to the Android and Windows Phone markets. As a smartphone owner, if you are interested in gaming, step away from the Blackberry and move to either the iPhone or the Android market.